EPDM Rubber roof membrane does not suffer with age from cracking or crazing compared to traditional felt roofs. EPDM repels all moisture and is the perfect solution for waterproofing flat roofs. EPDM Rubber “breathes” allowing vapours to escape, thus preventing blisters. EPDM roofing materials are highly resistant to UV (Ultraviolet light) and IR (Infra red light). All EPDM based membranes have a life expectancy in excess of 50 years, making them highly cost effective and environmentally friendly. The membranes remain permanently flexible and are highly resistant to UV and infrared light, without the need for additional surface protection. EPDM is extremely elastic, with no shrinkage or dimensional changes over a temperature range from -40 to +120 Degrees centigrade. 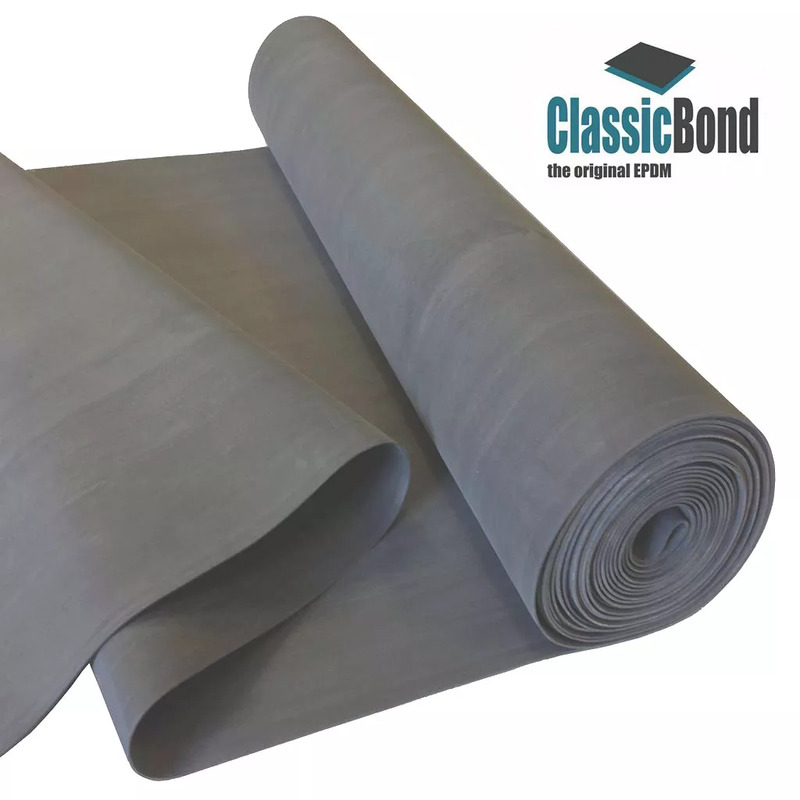 EPDM membranes are very competitive in price especially the CLASSICBOND & SHEDCOVER systems. All of our roofing systems including both EPDM and Polyurethane, have exceptional resistance to the effects of weather, environmental chemicals and aggressive industrial emissions. The reinforced membranes, RESITRIX & DUOPLY offer additional puncture resistance and dimensional stability on larger roofs due to their integral Glass Fibre / Fleece reinforcement. ClassicLiquid is a great system for complicated roofs where laying a membrane might prove awkward. No nonsense straight from the tin!